Big Occasions, Bigger Venues—5 Banquet Halls In South Delhi To Host Your Special Day At! Looking to throw a party of epic proportions? Got a wedding to organise? Hosting a corporate event? Just need a big space to run around for no reason? 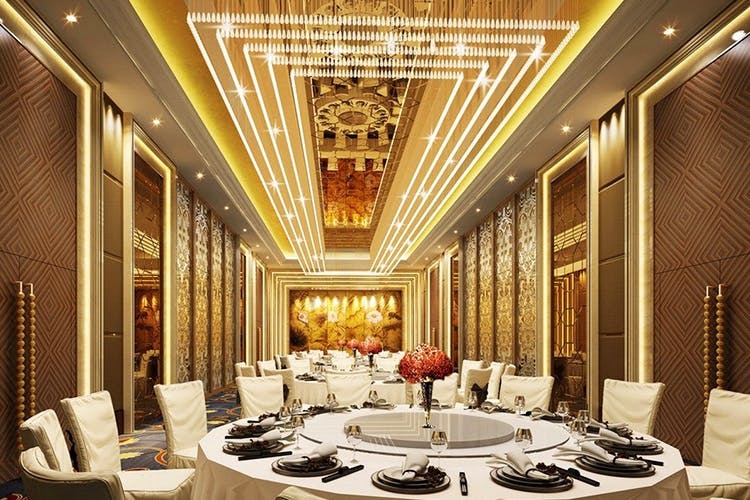 What you’re looking for is a banquet hall and we’ve got some good ones for you in South Delhi. Located in Greater Kailash II, Royal Park Hall has three massive halls with classy interiors. The sophisticated place also offers a big menu of gastronomically intriguing dishes, both regional and international. Lavish furniture and a space for 400 guests make for just some of the bragging rights this place has. Affordable services and a grand space is the hallmark of Pluto’s Ballroom. The service staff here is utterly professional and cooperative, throw in an amazing ambience and you’ve got the recipe for a perfect place to host your big event in Vasant Kunj. Amaanta, has a lush green 2.5 acre farm and a semi-covered area of approximately 13,000 sq. feet. that's perfect for all kinds of events like weddings, conferences, corporate events and the like. They've got a variety of exotic flowers, redwood trees and intersecting gravel and flagstone paths, and fountains as well. It’s a little far out towards Kapashera, but well worth the drive pertaining to its amazing personalised services and unparalleled green beauty. Be it a cocktail party with just close friends or an all out event hosting 300 people, Golden Fiesta in East of Kailash has got you covered. Head over here for some mouth watering food and drinks, available as breakfast, lunch, or dinner. Probably a household name for many, Tivoli Garden makes every party place list. Mostly renowned for hosting massive and luxury-addled weddings, this place has no rivalry when it comes to big functions. Their hospitality on offer is one of the best in the whole city with every service you can ask for offered here. Oh, and the place is utterly beautiful!